So your online search for men's anniversary gift ideas brought you to JooJoobs. Perfect! We're glad to have you. Let's find make your husband a unique, one-of-a-kind, handmade original that he's going to love and appreciate. No two guys are the same, we all know this fact. But men do tend to fall into certain roles and personalities, so we've provided our best recommendation for each different personality type. These are just our suggestions, feel free to use the guide or to venture through the shop on your own. If you have any questions, please feel free to message us. We all love our country, but some of our friends and family might be super patriotic. Perhaps they've served in the military or law enforcement. 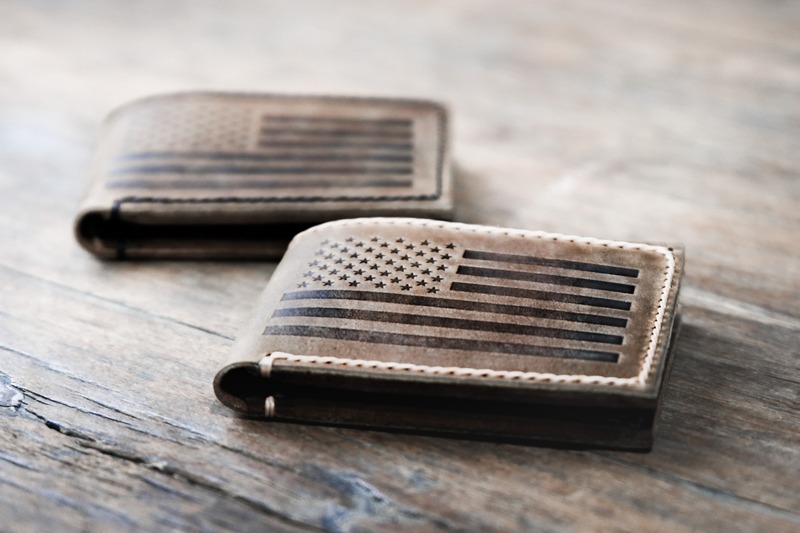 We use to make super fun military styled wallets but we received a cease and desist letter from US gov't lawyers. Yikes that was a little scary! 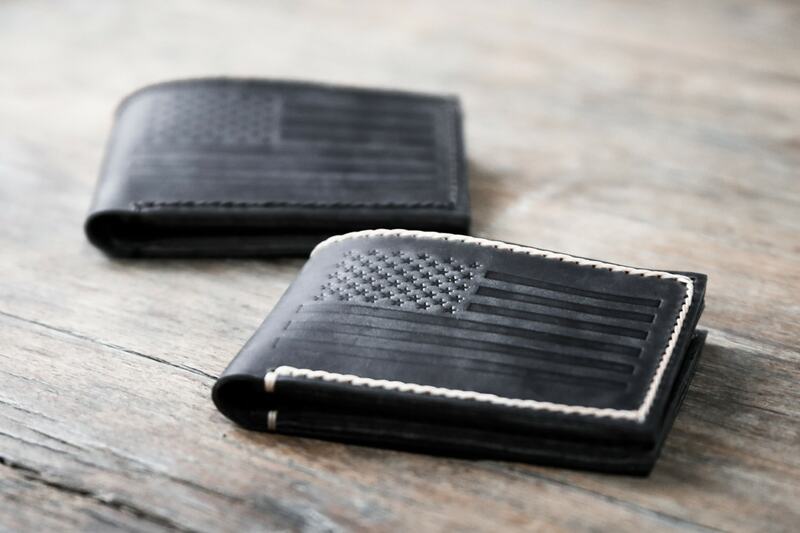 So to fill that void, we started making the American Flag Wallet. It's the perfect leather anniversary gift for the patriotic husband. Click on the images above to learn more about these unique gift ideas. Does your husband love to travel? Or maybe it's part of his job to fly around the country visiting clients. 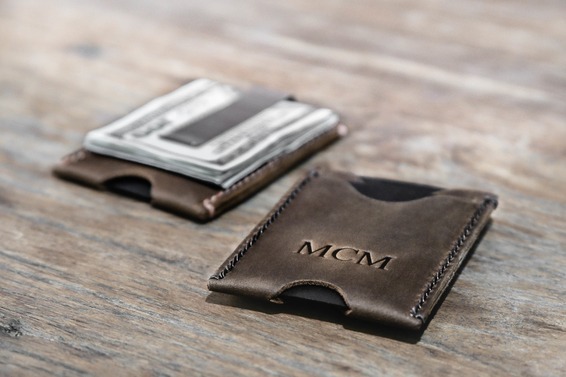 For the jetsetter husbands, you need to get them a personalized leather travel wallet. Travellers need space for their frequent flyer cards, boarding passes and most importantly, their passport. 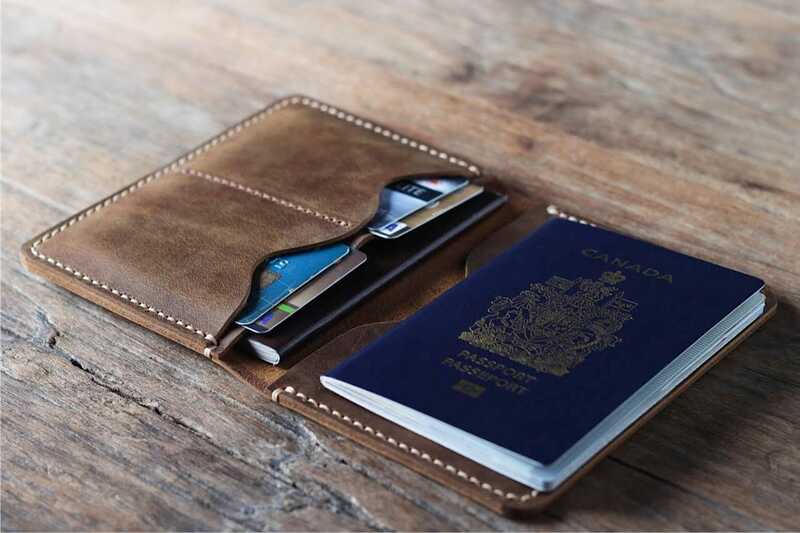 Travel wallets provide the perfect solution to keeping all the important documents organized and safe. The explorer knows no boundaries. No border can hold them back. They are striving to find new cultures and international adventures. Just typing that last sentence, makes me want to jump on a plane and go. 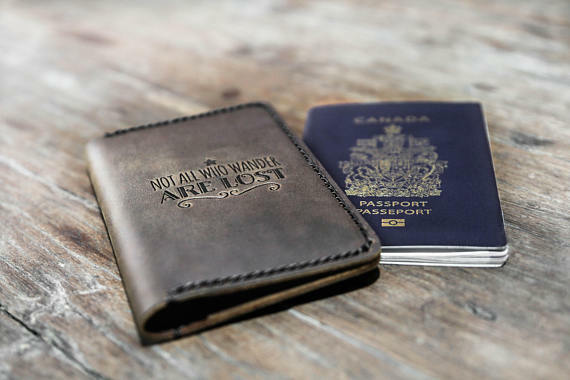 Just like our travel wallets, personalized passport covers are an essential companion for the explorer. The 'Not All Who Wander Are Lost' quote is just an example. You can brand anything you'd like onto the front of your passport cover. Nothing is better than seeing a dad playing with his ball with his sons or dress-up with his daughters. The family man husband embodies financial stability, safety and strong character. 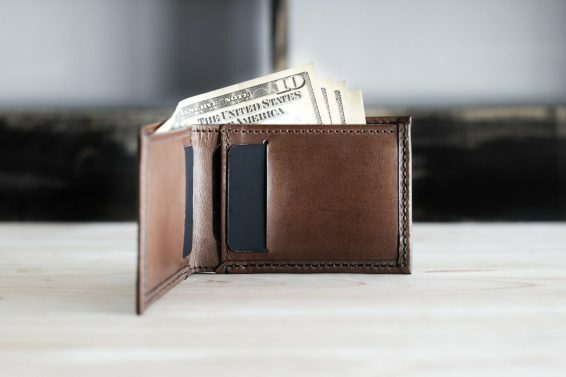 The best gift that fits the family man is the traditional bifold wallet. 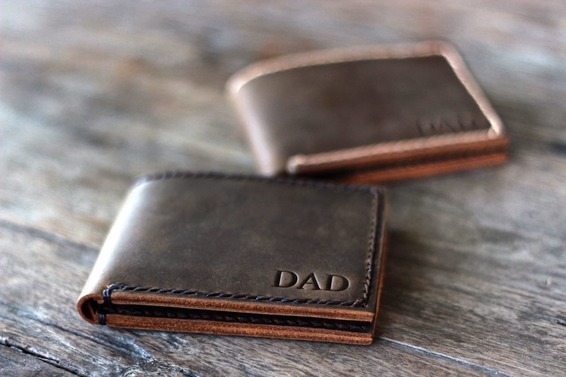 Make sure to add his name or maybe DAD to the front of the wallet. Of course, quotes branded on the inside from the kids is also a nice touch. 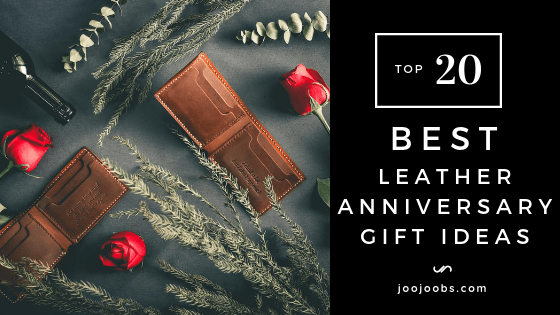 Our recommended anniversary gift idea for the minimalist husband (guys who want to just carry the bare minimum) is our listing #061. As you can see above, we offer it in the original distressed leather and the dark distressed leather. 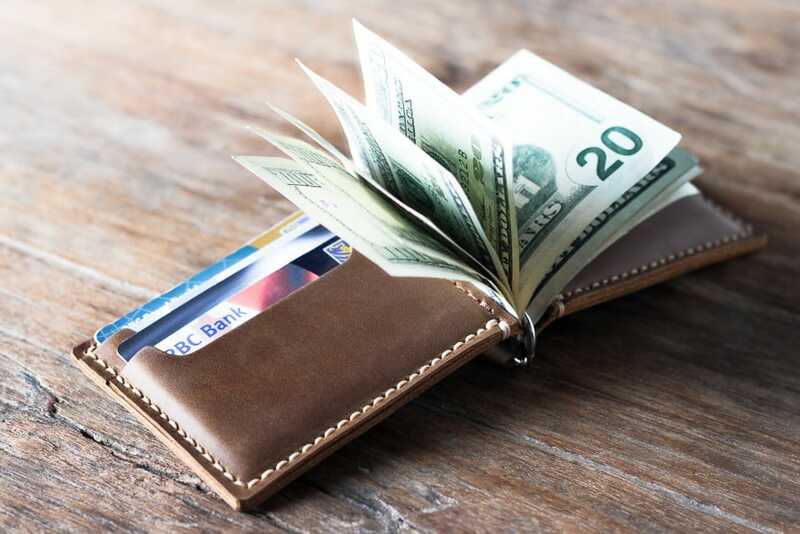 Please note, this front pocket wallet is strictly designed for USA currency. 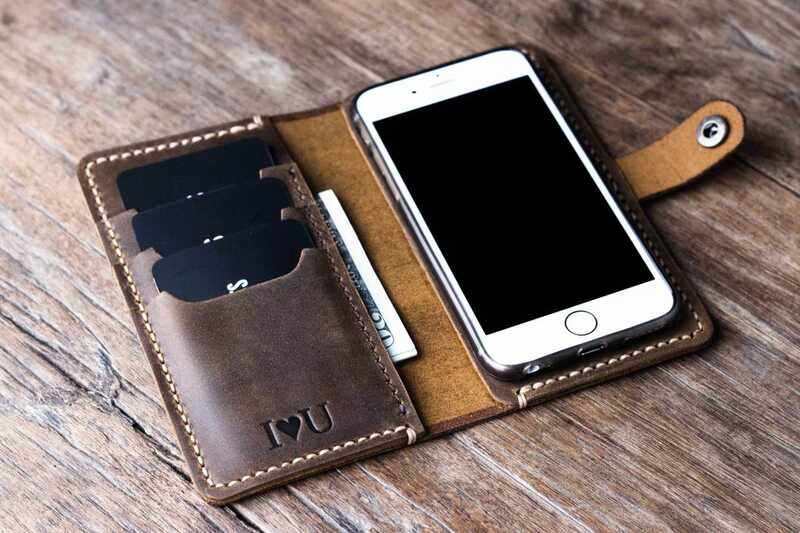 When you receive it, the card slots will be a little on the tight side, this is an intended. Leather stretches so we want you to slowly stretch the wallet to your likely. 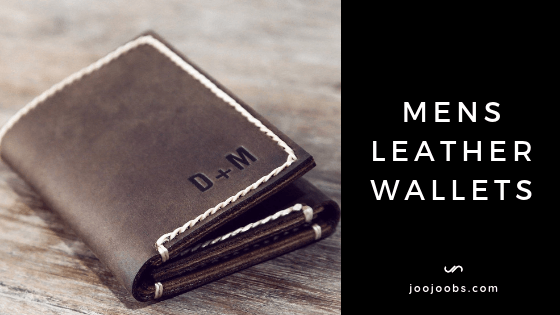 Go here to see our complete collection of minimalist wallets. 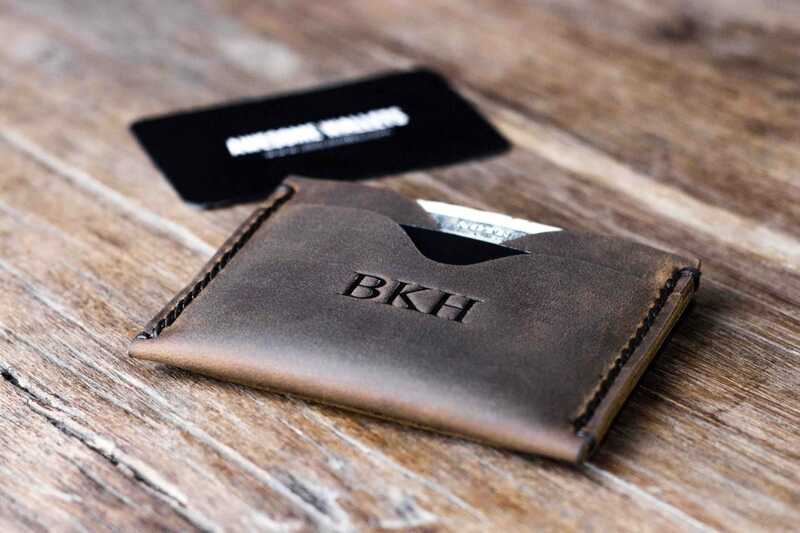 The highroller loves to gamble and to accomplish this task, the large cash bankroll needs to be managed and keep secure with a stainless steel money clip wallet. Only a few cards are needed and lots and lots of cash. Does your husband have calluses on his hands? If he does, he might fit into our Mechanic personality category. 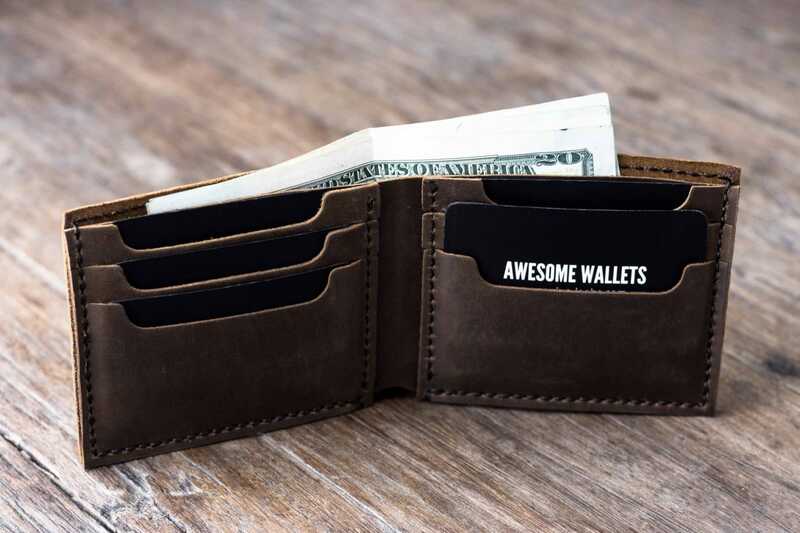 The guy who loves fixing stuff up, and working on DIY projects needs a wallet that fits his personality to a tee. 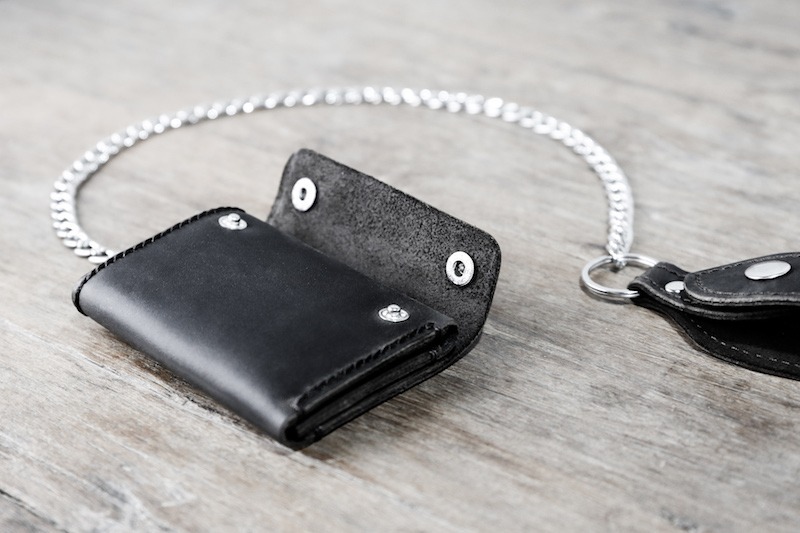 Rugged and rustic, this chain wallet is a must have anniversary gift for your handyman husband. Does you husband like to volunteer and help others, never concerned with payment or recognition in return. If so, you are a lucky woman. These kind of gentlemen are rare breeds. 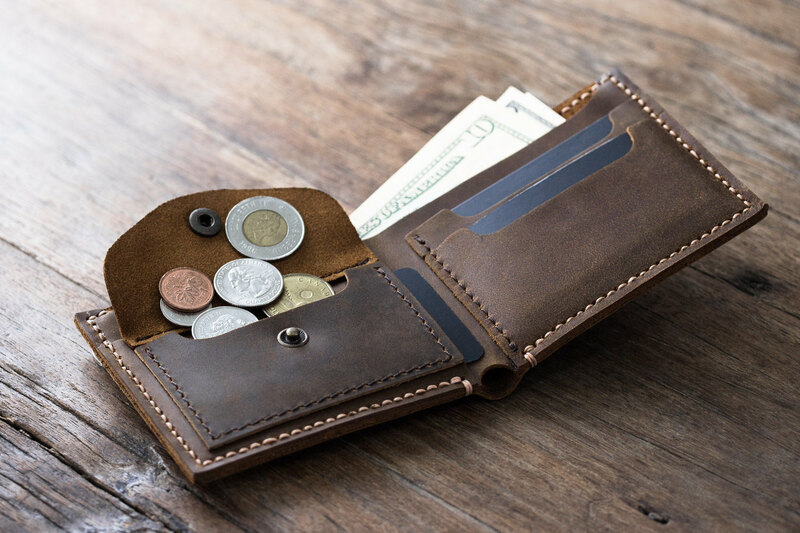 The Giver also tends to lean more towards minimalist, not needing any fancy for their wallet, just something that will last, be reliable and not breakdown. 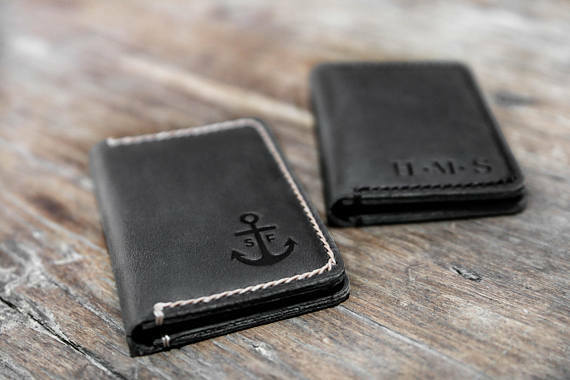 The above wallet is our number one best seller and we think it matches the Giver type husband the best. The artist likes finding stuff that is unique, a little different. Stuff nobody else has. It doesn't have to be expensive or brand new, just different. 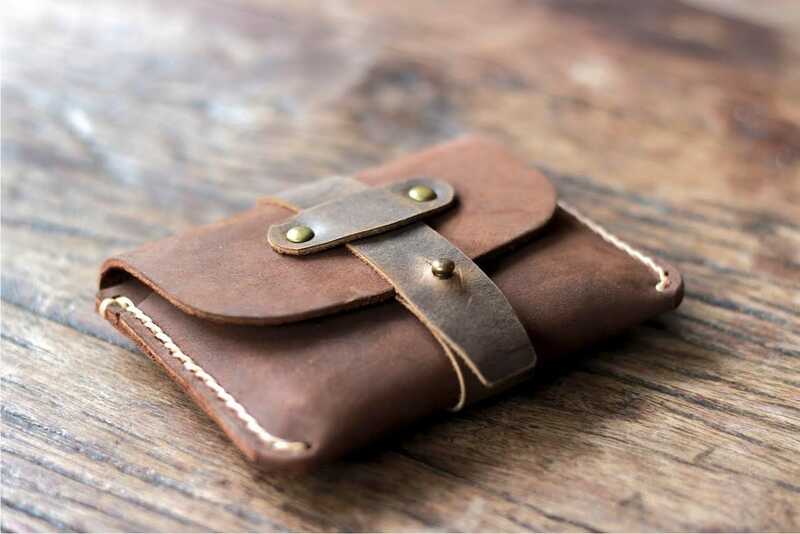 No other leathersmith makes this design, it's the perfect match for your artistic husband. The idealist is more result oriented than his piers. He likes to create, innovate and to push boundaries. 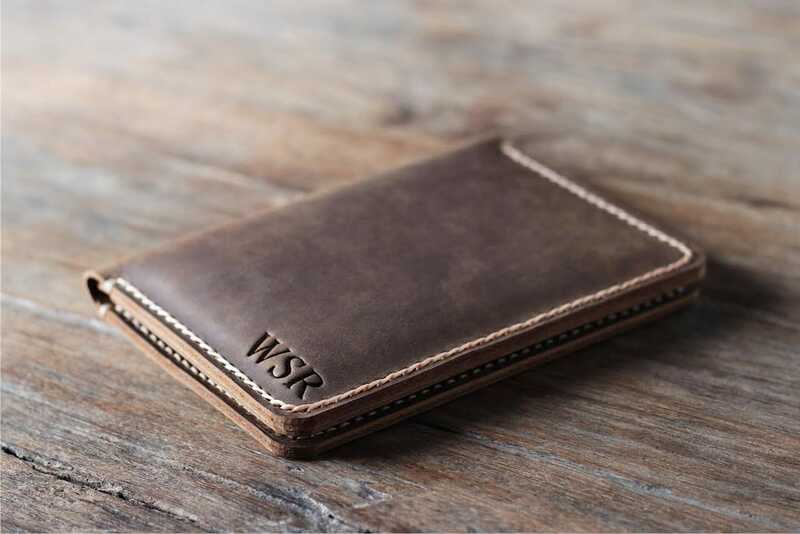 The best anniversary gift match for the idealist is our vertical credit card wallet. It fits perfect inside a suit jacket's breast pocket. The smart guy likes his tech toys. The iPhone smartphones are mandatory tech toys, so we made the perfect accessory to protect and complement your husband's smartphone. The guardian is the protector of family and friends. They'll go to the end of the Earth to make sure those in their inner circle are safe. 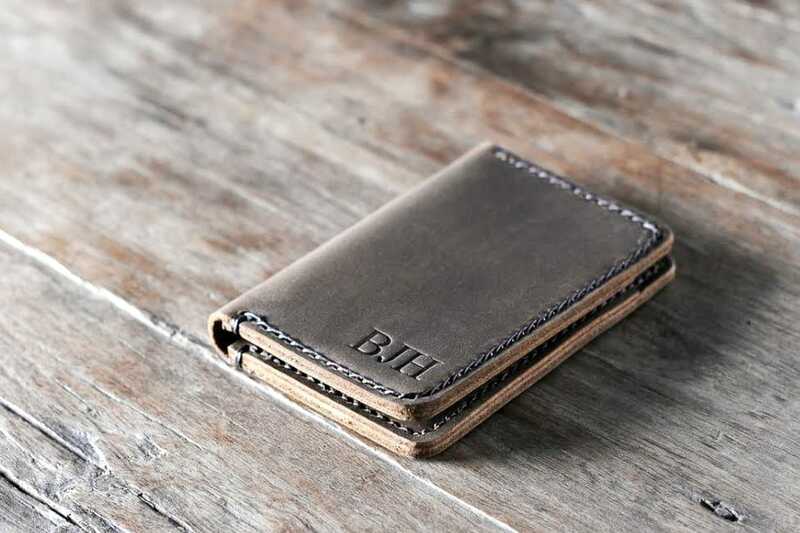 The Big Texas wallet is the manly man's wallet of choice. If you hulk of a husband doesn't have his yet, buy him one for your 3rd year leather wedding anniversary. The executive type is a natural born leader. Charismatic, effortless public speakers, the executive makes us all jealous with their endless confidence. We had our tannery shave the leather to an almost microscopic .5mm thickness. 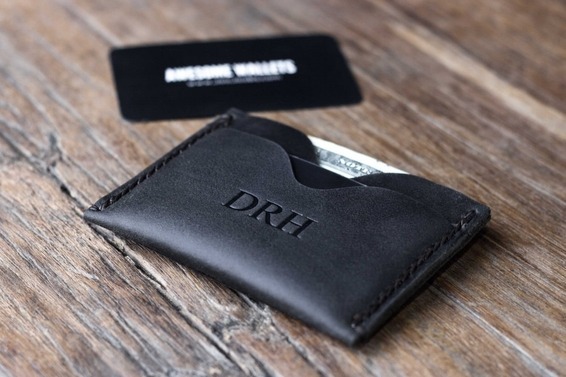 This allowed us to make this wallet very, very thin, yet incredible strong and durable. For the husband that likes only the best, this is the gift for him. To learn more about this piece of art, click on the picture. For the generation that grew up carrying quarters for the arcade and slot machines, this anniversary gift has their name on it. Please note, there is a large pocket behind the coin pocket that you can store your cards that you don't use too often. The actual card slots on the right can hold 2 - 3 cards each. I think Bibi made me add this last personality as a subtle hint. Is this the category I fall into?